Mike is self-publishing a book with Outskirts Press and wants your help deciding on a book cover. 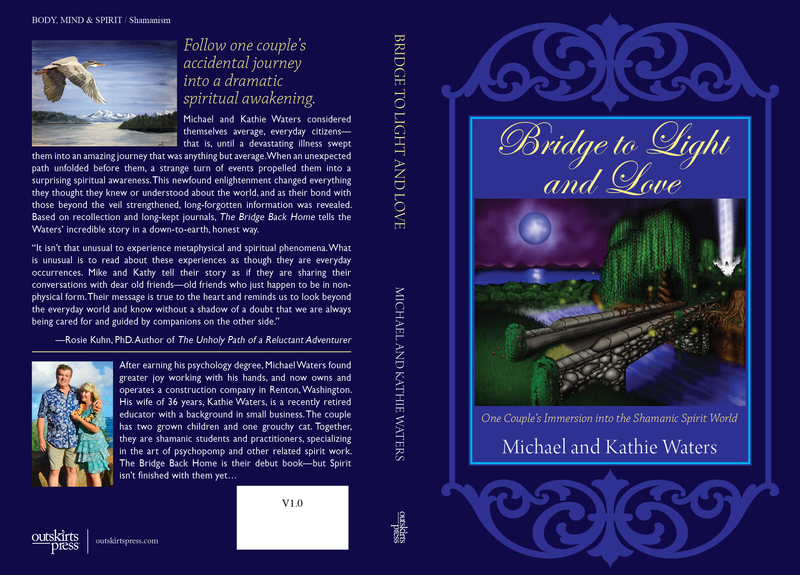 Michael and Kathie Waters always thought of themselves as average everyday citizens, until a devastating illness caused them to be swept into an amazing journey that was anything but average. 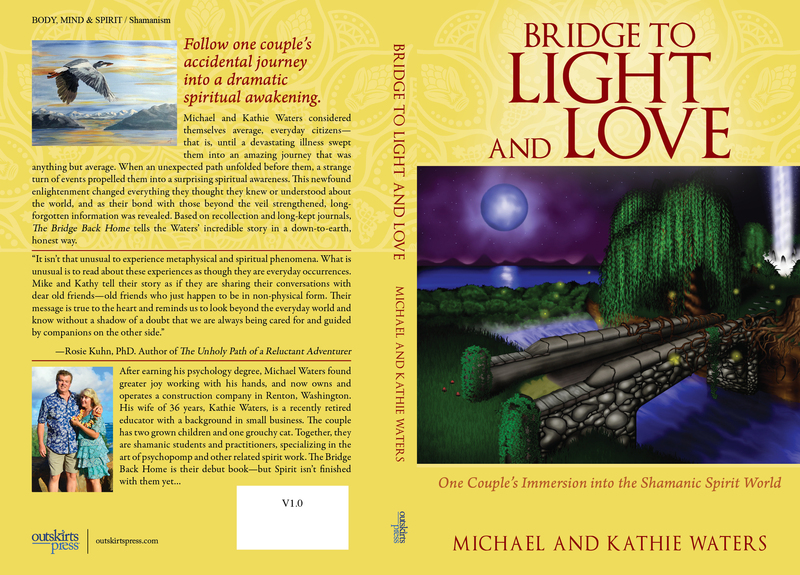 When an unexpected path unfolded before them, a strange turn of events propelled them into a surprising spiritual awareness. This newfound enlightenment changed everything they thought they knew or understood about the world we live in. As their bond with those beyond the veil strengthened, long forgotten information was revealed. Their true adventures are finally told from recollection and long kept journals, recanted in an earthy and honest way that only those with an open heart could tell. From the time he was a small boy, Michael Waters knew there was something important he was supposed to do. After earning his psychology degree, Michael found greater joy working with his hands. He now owns and operates a construction company in their hometown of Renton, Washington. Married to Michael for the past 36 years, Kathie Waters is a recently retired educator with a background in small business. The couple has two grown children and one grouchy cat. Together, they are shamanic students and practitioners, specializing in the art of psychopomp and other related spirit work. This is their first book, but Spirit isn’t finished with them yet. Please take a look at two possible covers below and then vote on the choice you recommend for Mike. Previous Previous post: Market Fiercely, Effectively & Personally With This Month’s Discount!